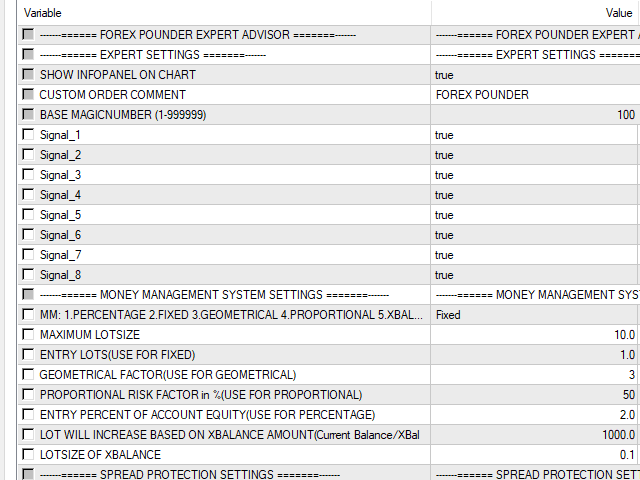 Forex POUNDER is an intelligent automated Expert Advisor for GBPUSD Symbol. 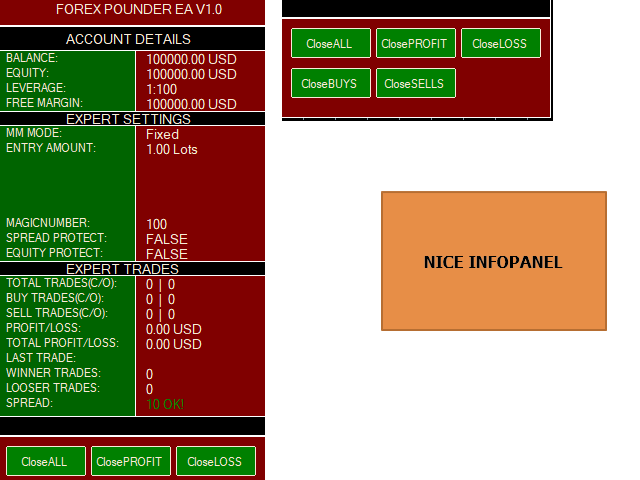 It is working with many extraordinary smart strategies and works without any complicated settings. 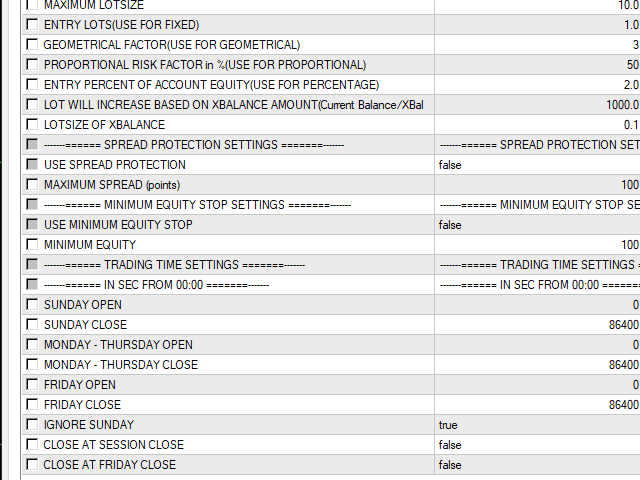 8 years 99% quality backtest with 1 lotsize. Easy to use without any complicated settings. Switch between 8 different signals. !!!!!!!!!!!!!!!!!!!!!!!!!!!!! !--------------------CHECK ALSO OUT MY OTHER EAS FOR MORE DIVERSIFICATION------------------!!!!!!!!!!!!!!!!!!!!!!!!!!!!!!!!!!!!!!!!!! !!!!!!!!!!!!!!!!!!!!!!!!!!!!! !--------------------HERE YOU CAN FIND MY OTHER EAS--------------------------------------------------!!!!!!!!!!!!!!!!!!!!!!!!!!!!!!!!!!!!!!!!!! Signal_1- Signal_8 - Switch between 8 Signals ON/OFF.